During the lead up and actual prime time of Mardi Gras, the market slows pretty substantially. People are busy setting up for parades, making preparation for house guests, knocking items off their professional to-do lists, and just generally avoiding the responsibility that comes with buying or selling a home. There are of course times when it makes sense to market a home during Mardi Gras. Parades are excellent opportunities to show off a house that’s on or near the parade route, the French Quarter, or really anywhere the action is happening. After all, who wouldn’t want to at least take a peek at a beautifully decorated mansion on St. Charles or a cozy front porch near Endymion? I’m sure plenty of tourists have taken the first step to becoming property owners while sipping a happy-hour cocktail at a beautiful condo downtown. Who can blame them? In the aftermath of the greatest party in the world, which usually coincides with what a lot of New Orleanians seem to feel is the real beginning of spring, the market explodes. With cooler weather, lower humidity, and less pressing matters on the social agenda, it’s a great time to see houses in the city. Buyers and sellers are out in full force trying to capitalize on the busiest time of the year. I’m already preparing clients for post-Mardi Gras real estate life. Right now is a good time to get preapproved for a loan, to start checking out open houses and to see what’s currently available on the market. If something has been sitting for awhile, this may be an opportunity to see just how low of an offer the seller is willing to accept, especially since most know that they won’t be getting a whole lot of other action for the next month. Yo Joe! What kind of loans are there available to someone buy a home in New Orleans right now? There are way too many to get into in this space, but here’s a summary of what kind of options you have when looking to finance a New Orleans property. 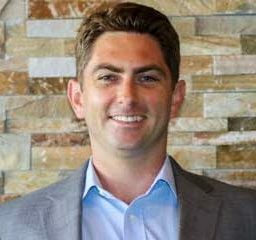 If you want to get real about financing and finding a property, contact me. I’ll put you in touch with a good lender, and we’ll make sure that you find favorable terms under the guidance of a knowledgeable professional. A good lender makes life easier for everyone involved in the process, and generally costs you less. One of the biggest benefits a good Realtor offers clients is access and accessibility to their rolodex of experts including title companies, inspectors, roofers, HVAC specialists, interior designers and more. Yo Joe! I’m thinking about buying a double by Maple Street and living in one side. Do you think that’s a good move? If you’ve never owned a home before and are sick of paying rent to someone else, I think buying a double and living in half is just about the best way to become a homeowner and get into the real estate market. In many cases, you wind up paying less than you may have when renting, and that money is going at least in some part to paying off a mortgage. Over time, real estate typically appreciates in value as well, which is like the cherry on top of what’s already a delicious combination of monthly savings, accruing equity and some tax benefits. And if one day you decide that you have outgrown your double? You can turn the property into a single (a solid move if you just love your location or neighbors). You can move out and keep it as source of the always welcome “mailbox money,” possibly your first New Orleans real estate investment property of many. Or, you can just sell it and roll your equity into a property more suitable. All are perfectly great options. As for Maple Street… I love it! I always had a ton of fun there in college, and over the years (and thanks to the boom of Freret Street) it seems like it’s transitioned more into what long-term residents had always envisioned it being. There aren’t many doubles there on the market right now, but if you’re properly prepared to buy when springtime hits, it shouldn’t take too long to get you into a new home and stop paying rent. Yo Joe! I’m looking buy a condo, but I have a dog. Is that going to be an issue? For the most part, no. There are some buildings that are pet-free, and plenty more have restrictions, but overwhelmingly you’ll find that New Orleans is a pet-friendly city. Twelve pound terriers definitely have an easier time finding accommodations than 110 pound doberman pinschers (through no fault of their own! ), but even for larger dogs there are plenty of New Orleans condos for sale that permit them. If you’re more interested in learning about what it’s like to be a homeowner with a dog in New Orleans, I can tell you from experience that it’s great. There are plenty of things to see on your walks — from parades, bike-riding krewes and open Mardi Gras warehouses, to pedestrian parks and smaller green spaces. There are plenty of pet-friendly bars and restaurants, too. The biggest downside is the unexpected rainstorms that always seem to pop up mid-walk, and the general disrepair that seems to afflict a lot of dog-dedicated parks throughout the city. 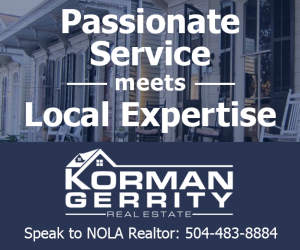 Joe Gerrity is the Broker and managing partner of Korman Gerrity Real Estate, a full service New Orleans real estate brokerage located at 4505 Magazine St. He is also the managing partner of Big Easy Buyers, and a founding partner of both Crescent City Vape and Simply CBD.